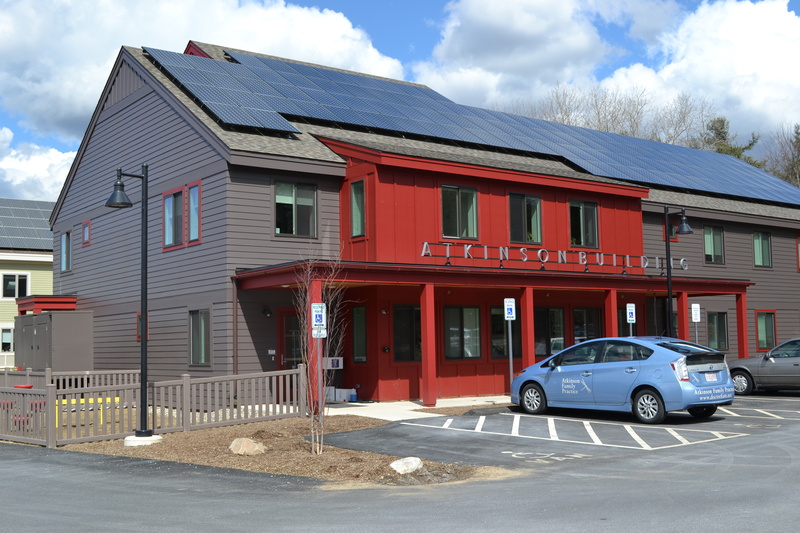 Home - Wright Builders, Inc.
Wright Builders is committed to high performance, sustainable, and net zero ready construction. We believe a healthy indoor environment, year round comfort, lower energy costs, utilizing non-toxic materials whenever possible, and minimizing the carbon footprint during construction and for you afterwards, are goals that allow us tread lightly on our planet and provide you a healthy and green environment. When it comes to residential construction, we continue to do our homework and stay ahead of new trends in sustainable, high performance and net zero ready construction. 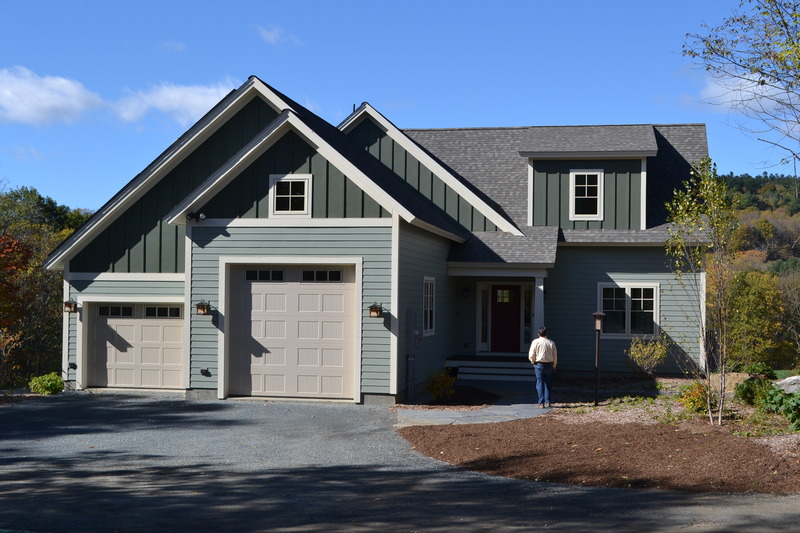 From the modest to the exotic, Wright Builders has built some of Western Massachusetts’ and southern Vermont’s finest custom homes, net zero ready homes, condominiums, additions, renovations, and major remodels. 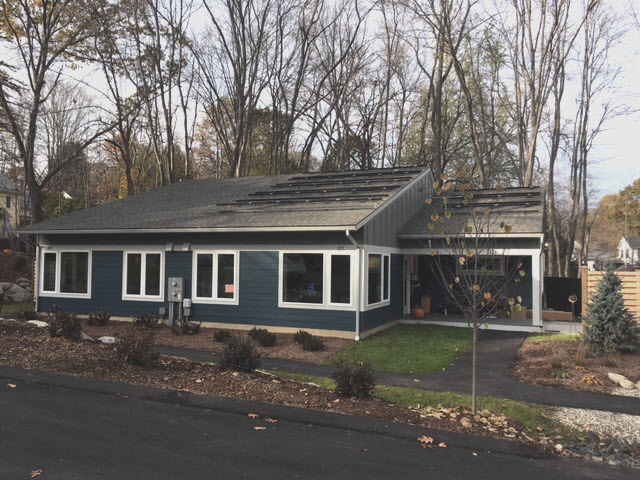 Our commitment to a healthy home through construction practices dedicated to upholding the building standards of net-zero-ready, ENERGY STAR and airPLUS, provides the homeowner with year round comfort, clean indoor air, energy cost savings and the opportunity to feel good about lower carbon footprint construction. Through proper planning and construction, Wright Builders can help a restaurant, office, retail or meeting space be most successful by setting the tone and environment for people’s work. Provisions for lighting, sound attenuation and appropriate ventilation all contribute to the quality of this environment. Forty plus years of construction experience gives us a powerful foundation to provide you with superior project management skills, an ongoing and open channel of communication, expertly chosen tradespeople and subcontractors and the wingspan to get your project done on time and on budget. Offices, school buildings and public facilities built or renovated by Wright Builders bring its occupants both immediate satisfaction and unparalleled performance and comfort over the years to come. We understand the demands of your schedule and get your project done with minimum disruption, manageable operating costs and lasting value. Wright Builders does not build “cookie-cutter” residences. While we share a building with the owners of three other condominium townhouses, each residence has its own distinctive design within a harmonious whole. External variations in shape and color, with subtle references to a particular architectural style, make each townhouse interesting and inviting. But what these residences all share are interiors that are filled with an abundance of natural light, complemented by unobtrusive, interior lighting. 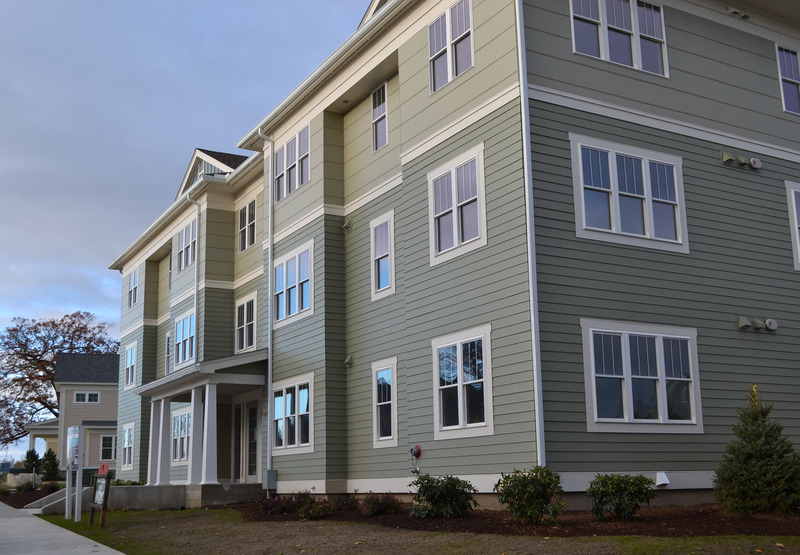 Not only does our townhouse offer an expansive sense of living space, but our eyes are also drawn outside our home to the natural beauty of the hills, trees and fields surrounding the Pioneer Valley. That appreciation of natural beauty is magnified not only by the extensive plantings surrounding its buildings but also by the clear devotion of Wright Builders to conserving and enhancing the local environment in its choice of designs and materials and the use of “cutting-edge” technology. As we watched our townhouse being built over a ten-month period, we were greatly impressed by the high standards of craftsmanship at every level of construction. We also benefited tremendously from the personal attention that we received every step of the way from the Project Manager and the Sales and Marketing Director, who focused again and again on achieving the goals that we had set while working within the budget that we could afford. They quickly came to appreciate the designs and styles that we most valued, and on numerous occasions provided the advice that we needed to make our townhouse the home that we were hoping for and are now enjoying. We have been truly blessed! Prior to putting my thoughts down in words as testimony to my experience with Wright Builders, I was interested in what others expressed. Did they feel as positive, passionate, and privileged to be living in such a unique environment? The answer of course is unequivocally yes! I struggled to avoid repeating their glowing endorsements of quality, design, impeccable project management, attention to detail, and the entire teams’ capacity to truly hear and understand their potential homeowner. What could I say that hadn’t been said before. Then it came to me….. It is because of who they are, and what they have created for me personally, that for the first time in two decades, I feel that I am finally home. It isn’t just because of the magnificent dwelling that I live in on Village Hill, but more because of the extraordinary bonds that I’ve created through the experiences we shared from my first contact to my ongoing relationships with them. More than anything, it’s about the TRUST they established that was essential for me when taking on such a big investment and doing it alone. They’ve proven over and over again, that they stand by their word. There is a lot of activity happening on ‘The Flats’ this Spring- (2016). Things could easily go wrong, and on a few occasions they did. No one is perfect. That’s when Trust is affirmed. Their word ‘IS’ their promise! In the rare occasion that something was passed over, they made it right… and usually went above and beyond to make it more than expected. Everyone that I’ve had the pleasure of dealing with throughout this project, is part of the ‘Character Ethic’ that Wright Builders exudes. They are exceptional Builders and outstanding human beings! 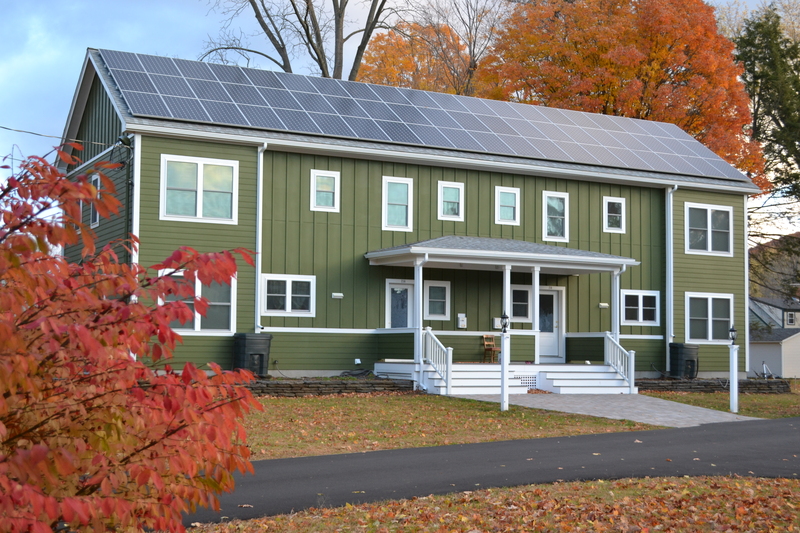 Our net zero home lives very well, so quiet! No drafts too. You can’t appreciate when you just visit. Waking up in the am or relaxing in the evening, it is so peaceful and comfortable. I was drawn to Hinckley Trace by its clean and green design in a semi-bucolic neighborhood setting. The buildings’ colors blend peacefully into the existing landscape. My new home has a green, sunny, and open feeling, as well as proximity to the downtowns of Florence and Northampton, and to the bike path. This move has encouraged me to take the downsizing step which I hope will guide the rest of my life choices. I won’t be surprised if my health improves by living with such high quality green construction materials and the well-engineered airflow and air quality. I also like the idea of contributing to our new small group of 8+ people and the surrounding well-established community. I’m delighted to be here on this special occasion. Thank you so much for inviting me to speak. I first saw the proposed design for the flats (I believe almost a decade ago, yes?) in a Wright Builders newsletter. My husband Bob and I have been, what I guess you’d call, both long time proponents and recipients of the excellent work of Jonathan and his Wright Builders colleagues, beginning in 1982 with a kitchen and bath renovation, then a later opening up of space in that same house with a construction of a chimney and fireplace. We followed that almost 15 years ago with what has felt like our crowning glory: a Craftsman inspired house we designed with Jonathan, built on 6 beautiful acres of meadow land, with the back drop of the Sawmill Hills (and actually available right now on Spring Street in Florence!). But from that first look at this design of one floor living with open-space and three sides of windows in an apartment building which would, without a doubt, be meticulously constructed – I knew I wanted to (in the words of Tina Fey) “go to there”! So I waited and I waited and now I am here! The design and the dream led me to this day, but the unexpected bonus is the community that we now find ourselves a part of. This group of folks is truly dedicated not only to preserving the beauty that surrounds Village Hill but also to creating a welcoming, inclusive community. So although Bob and I have been very fortunate to have already lived in some beautiful places, we have not yet experienced the spirit of a real community such as the one that is being built here. I thank you Jonathan and everyone at Wright for having this vision and giving us this long-awaited opportunity. You and those who are also working on this project are truly ahead of your time! We chose Wright Builders because of their sterling reputation… we had high expectations but they were exceeded nonetheless. We are extremely pleased with our new sun room! We are extremely pleased with how things have turned out here. Having worked with Wright Builders before, we expected a great house and were not disappointed. The layout, airiness, quality of construction, attention to detail, and attention to the inevitable punch list are all excellent. Perhaps even more pleasing, because unanticipated, is the quality of the surround and the community. The old trees (planted mid-1800s?) in the park and the woods on the other side of the house are gorgeous. The detention pond turned out to be a wildlife pond that has kept us out on our screen porch a good portion of summer evenings. And the fact that all of us are new residents has added a lovely incentive to form and participate in a new community, with pot lucks, yoga in the park, and random encounters. All in all, a great experience! We LOVE our new green house. Wright Builders, you’re the best! As a journalist and environmental writer (A Passion for this Earth–essays on sense of place), I am pleased to be living in such a thoughtful, well-designed, well-built house in a diverse, inclusive community. This is town planning at its best and it has attracted vibrant, creative people from all walks of life—musicians, doctors, educators, and people who work in the shops and services offered here in town. The park, sidewalks and open spaces add to the sense of friendliness and encourage neighborhood gatherings. 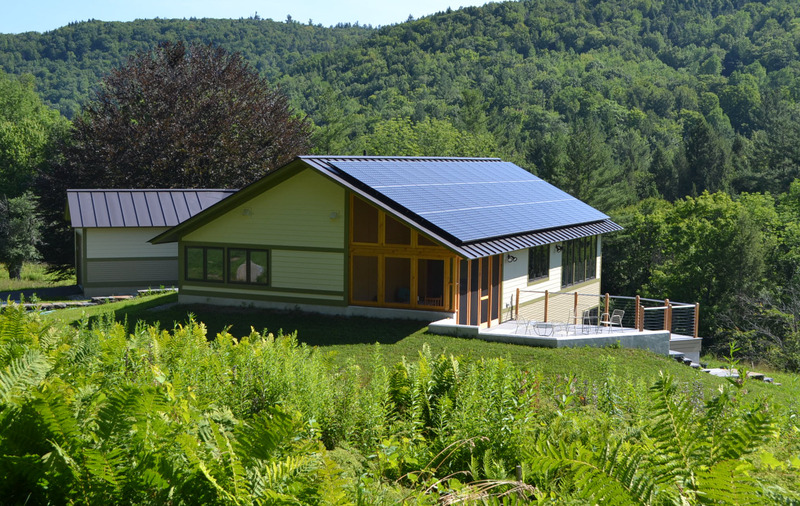 The solar panels and green materials used in these homes are among the best. These dwellings are tight in the winter, cool and comfortable in summer, while using minimal energy. Then there is the natural beauty of Village Hill–biking and hiking trails, lovely vistas, two little green heron on the local drainage pond. The landscape is well maintained and the 200 year old beech trees and historic buildings that have been so beautifully rehabilitated add to its charm. We are blessed, too, with the variety of birds and wildlife, and with a builder/designer who cares so much about this community, and about a high level of craftsmanship and general service, that he has made his own home here. 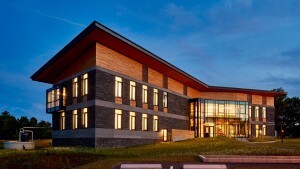 Kudos to Mass Development for selecting Wright Builders to develop this forward looking project. I am sure this special enclave will become a model for other towns in the years ahead. Eighteen years ago we moved away from Northampton for family reasons but with the intention of returning. Finally, when beginning to look for a home again, we talked to Northampton friends who have lived here for years and are quite involved in the community. They suggested we investigate Village Hill, which they had watched take shape in its early phases and thought promising. 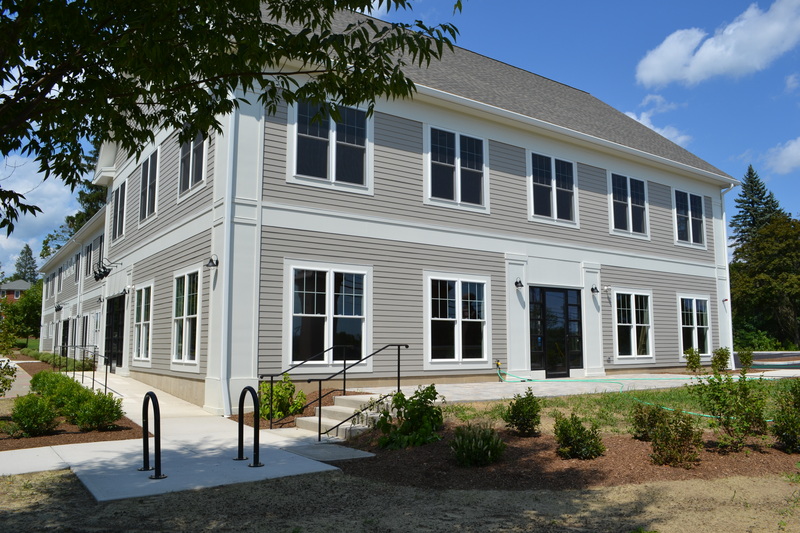 Following up, we certainly were pleased with the variety of housing types, integration of business, eventual addition of an assisted-living facility, and proximity to the town center. Energy efficiency was a strong draw and we were so pleased to find the Eastview townhouses designed according to aesthetic traditions that appealed to us. By the time we actually could initiate a purchase, most of the design and completion choices had been made but in a fashion we felt comfortable with and find wears well in use. Since moving in this summer, our hopes have been proven out. Location is wonderful, the Village Hill neighborhood is wonderful, access to walking, biking, etc., is excellent, property management is excellent, the construction and mechanicals are solid and efficient and attractive. It’s a new community that feels rooted and dynamic at once. What a bargain at anytime but especially now. The daunting process of putting an addition on our home was made not only smooth, but exciting and enjoyable because of the team at Wright Builders. 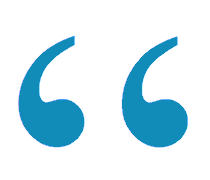 From the time we first called them, to the last punch list, each member of the team was professional, thorough, honest and nice to have around. Our large project was finished in the time span we were contracted for, and our budget was taken into careful consideration every step of the way. We love our home, and Wright Builders took many extra steps they did not need to take in order to create a great experience for us on this renovation journey. We recommend them wholeheartedly! I was very impressed with the way your various teams worked together, last week in particular. Let me also add that I have been impressed with your style, skill, and manner as project coordinator: While you (a WBI project manager) are personable and respectful to the individuals in each team, you are also effective, clear, and succinct in stating, or re-stating project goals, immediate tasks at hand, re-routing certain tasks. In all of this, you engender a team spirit, which – in my view – accounts for the very fine results you and your teams achieve in due course. I can’t say enough about the great location of Village Hill – it is just perfect. Views of Mt. Tom, open space and beautiful old and new trees, historic architecture of the original buildings, variety in housing design, peaceful for walking and biking, wonderful neighbors, and only moments to downtown Northampton, easy access to I-91 and all the rest of the Pioneer Valley. I can drive down the hill to Green Street for a morning latte at Vessel and be back in five minutes, unless I linger for a look at the Smith College horses on the way. Re Eastview, I am thrilled with my condo. Wright Builders’ staff made the options selection process understandable and enjoyable. Wright Builders and their contractors have been responsive to minor building issues promptly and always make me feel that they want me to be happy here. The choice of siding, windows and doors, plantings, fencing, lighting and garage design all adds up to a most attractive townhouse community surrounding a lovely courtyard, set within the overall pleasing design of Village Hill. I can already appreciate the insulation in my townhouse when it stays warm and snug without turning on the heat when the temperature falls at night. I love the open layout and sunny interior of my townhouse and its lovely front porch and private patio with garden — it has more than met my expectations for a wonderful new home. Much to the owners’ delight! It is hard to choose where to begin, as there are so many aspects of living at Village Hill that make us happy. Our house is beautifully designed, with many thoughtful details and attractive features. It is also outstandingly well constructed by skilled practitioners using quality materials. The Wright Builders company employs responsive, capable, and kind staff. The few issues we had, inevitable in any brand-new house, were addressed quickly and competently. We have nothing but praise for Wright Builders, and feel extremely fortunate to be living here. Besides the house itself, we are delighted with the overall layout and appearance of the entire Village Hill community. Over the past year, it has been amazing to watch the entire street fill up with beautiful homes occupied by congenial neighbors. We have lived in many lovely neighborhoods over the years, but Village Hill is by far the most friendly and compatible. I believe the remarkable combination of intelligent master design and outstanding construction have attracted a discerning clientele. Well done, Wright Builders, and thank you! Thanks Mass Development for providing me with the opportunity to live in a top notch condo in Village Hill. It is a beautiful setting and a thoughtfully designed neighborhood. My condo is so well constructed and I love it. I am excited about my recently installed solar panels and improving the earth with my LEEDS certified energy efficient home! Northampton is a better city as a result of your plan for Village Hill and Wright Builders. Thanks so much! I want to commend you on the professionalism of your team. Certainly it’s no picnic to have to work in a construction zone, but your crew is terrific. No louder than necessary, conscientious about cleaning up after themselves, courteous and friendly. I’m not surprised you run such a class act at WBI, but I am very grateful. Our duplex is absolutely delightful! Not only is it earth-friendly and thoughtfully constructed, it’s a joy to live here! We especially appreciate the visual continuity of fixtures, wood, counters, and windows, as well as the light-filled ambiance and lovely views throughout the house. I was first attracted to my soon-to-be-built Wright Builders duplex by the elegance of the design. It is an Arts and Craft style building and I appreciated the overhanging beams on the porches and windows. Three years after moving in, I still appreciate its elegance, but now even more appreciate how well the interior design functions and lives. The spaces are inviting and flow well into one another. The windows are generous and so the house is bright and cheerful. I love sitting on the front porch or out back on my patio. Having an outdoor space is lovely. It is a very energy efficient house. It costs me less to heat the condo for a year than I spent in one winter month in my prior house. There are no drafts, the entire house is warm. I have solar panels, so have essentially no electric bill. Everything works as well as the day I moved in… I never imagined I could live in such a wonderful house, in such a friendly, welcoming neighborhood. So, as I celebrate three years in my Wright Builders house, I am very grateful. 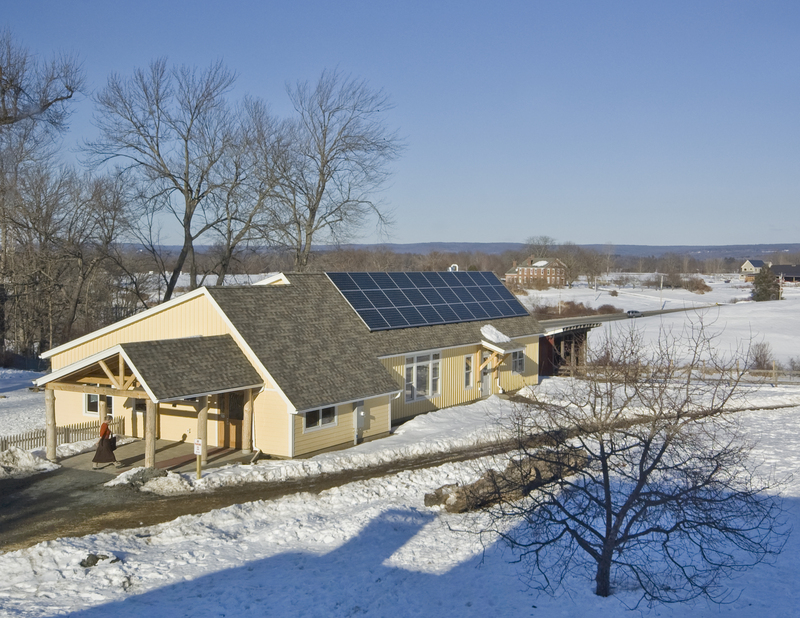 Wright Builders is Western Massachusetts' sustainable, high performance and zero net energy construction expert. With nearly 45 years of high-performance building practices; from planning, to design, to construction, our expertise and commitment to excellence will bring your home, workplace, institutional or commercial project from concept to fruition. 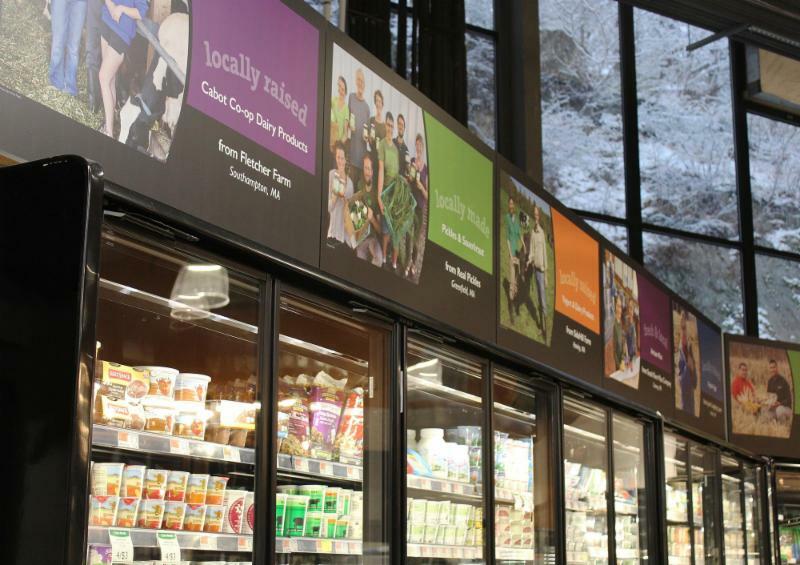 Our ongoing partnerships with the EPA's ENERGY STAR and Indoor airPlus programs enhance the high quality of the living and work environments we create with you. We look forward to hearing your ideas.